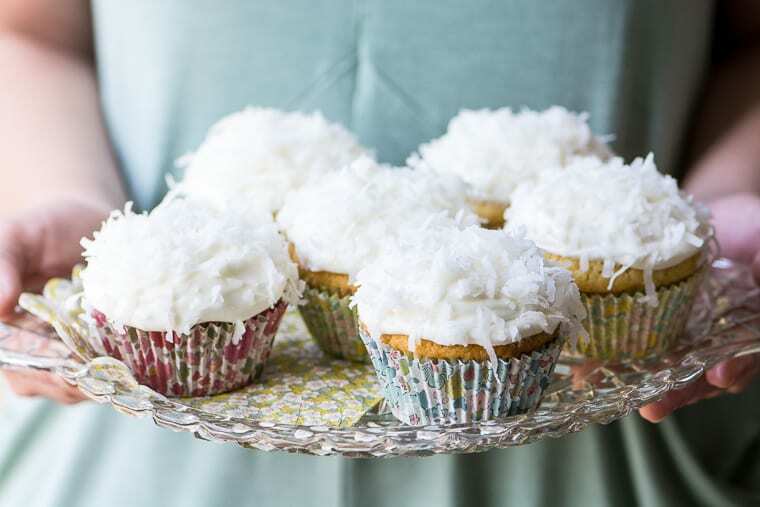 Ina Garten’s Coconut Cupcakes ~ these easy-peasy tender white cupcakes are topped with the most insanely delicious coconut cream cheese frosting ~ it’s no wonder they were super popular at her famous Barefoot Contessa shop, and they’re perfect for all kinds of spring flings! When I crave comfort food, but I’m not sure what I want, I turn to Ina. I can pull out one of her cookbooks at random, sit down in a quite spot, and know she’ll sort it all out for me after just a few page turns. These classic cupcakes were crowd pleasers year after year in Ina’s Barefoot Contessa shop on Long Island, and I’m so not surprised. They’re easy to make and really there’s not a single bad thing I can say about them. 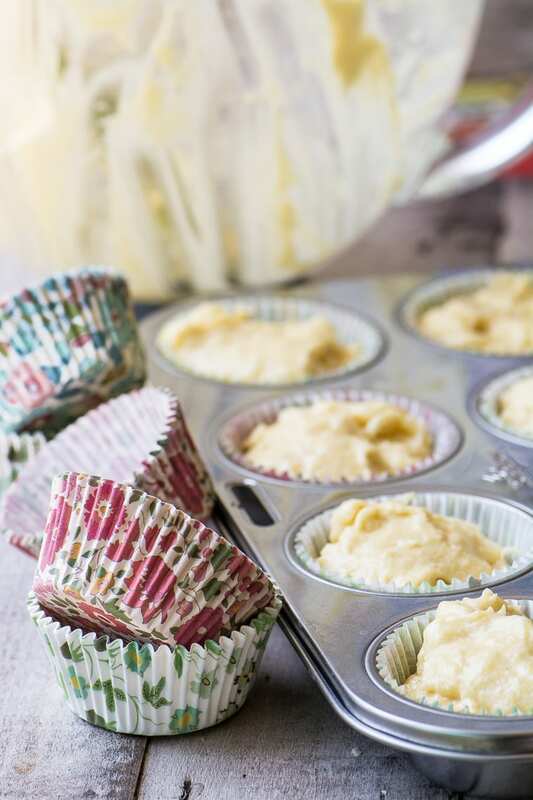 The batter is easy to throw together and the cupcakes bake up with perfect little domes. The frosting is to die for, it has the tang of cream cheese without being overpowering. And who can resist big fluffy mounds of coconut? In honor of spring I baked the cupcakes up in some cute Liberty print cupcake wrappers I found on Amazon. I went crazy and got the plates and napkins, too, and they even had more stuff, like little flags and favor bags, etc. I’ve loved Liberty prints for as long as I can remember (I bet you didn’t know I used to be in fashion design!) so I couldn’t resist. I’ve added the links just before the recipe, below. The cake is tender and moist, and has half the bag of coconut folded into it. The frosting is topped with the other half, so there’s plenty of coconut presence. 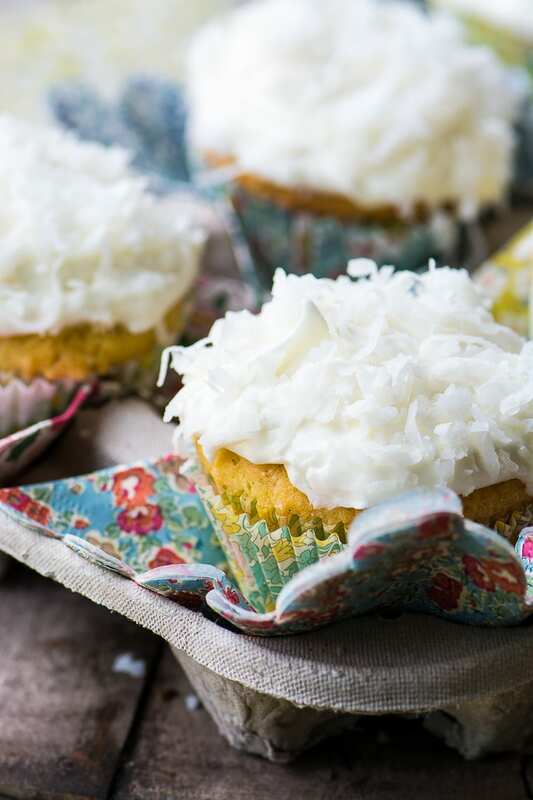 TIP: If you’d like to top your cupcakes with toasted coconut, spread it on a microwave safe plate and microwave for 3 minutes, stirring after every minute, until it turns golden brown. Liberty print paper accessories ~ in today’s post I used the small plates, the small napkins, and the muffin tin liners, and you can click on the images below for more info. For a peek at the complete line, click HERE. FOOD STYLIST’S TIP: after baking and frosting, slip a second fresh muffin liner onto your cupcakes for a prettier look. *Recipe lightly adapted from Ina Garten ~ it’s in her BAREFOOT CONTESSA COOKBOOK. I’ve halved Ina’s recipe, because I didn’t want 20 cupcakes around to tempt me. Ina Garten's Coconut Cupcakes ~ these easy-peasy tender cupcakes are topped with the most insanely delicious coconut cream cheese frosting! Cream the butter and sugar until fluffy. I do this in my stand mixer with the paddle attachment. Beat in the eggs, one at a time, and be sure to scrape down the sides of the bowl between each one. Beat in the extracts. Whisk together the flour, baking powder, baking soda, and salt. Add it to the mixing bowl, alternately with the buttermilk, beginning and ending with the flour. Mix just until combined, and scrape down the bowl. Fold in the coconut. Be sure to scrape the bottom of the mixing bowl to get everything incorporated. Fill 10 cupcake liners. Bake for 30 minutes, or until golden browned and done through. You can test with a toothpick if you like. The tops should spring back when lightly touched. Let the cupcakes cool for a few minutes in the pan, then remove them to a rack to cool completely before frosting. To make the frosting cream together the soft cream cheese and butter. Add the extract and the sifted sugar and beat until fluffy. Frost the cupcakes generously and top with coconut. Do make sure your butter, eggs, and cream cheese are at room temperature. We found that 5 cupcakes fit perfectly snugly into a Starbuck’s coffee carrier ~ so you have no excuse not to share with the neighbors or your office mates! 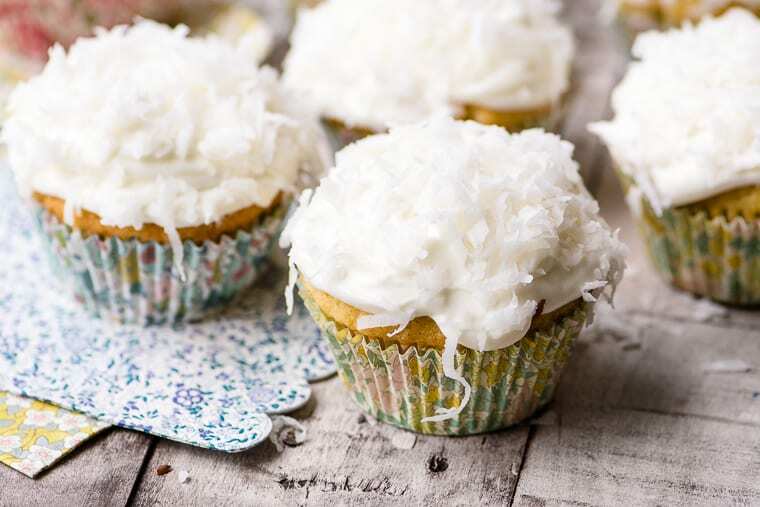 Thanks for pinning these coconut cupcakes! Hi!!! I made the cupcakes and they turned out perfectly thank you. I do have a question though, once frosted do I need to refrigerate them if consuming in two days? I don’t think so, I think they’re fine for a couple of days at room temp. Glad you enjoyed them! I noticed that you have cut the original recipe in half. Do your equations create the same scrumptious cup cakes as the original? Yes, I think you can see from the photos they’re nice and plump! Yours look beautiful! Love the photos. Unfortunately, mine turned out heavy, dense, and greasy. Not sure what I did wrong, but I’m sure it was operator error…. I only bake about twice a year. These are going to be for my mom’s birthday. Last year I made a coconut layer cake for her that was tender and light. Hope she still loves me! Oh that’s a shame DW, and I know how frustrating that can be. Ina’s recipes are very well tested, so I would encourage you to try again if you have time!! These would be so cute with green dyed coconut and chocolate eggs on top! Can’t wait to make them. Can you substitute coconut cream for the buttermilk? I think so, but I might use coconut milk instead, for a more similar consistency. 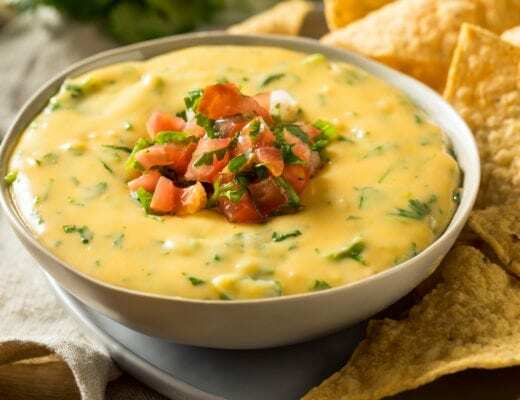 Love this – I usually make the full Ina recipe and its delicious but this is perfect for just a few. I ended up with 12 though! Thanks! Glad you liked them Corey, thanks! Wow, these look so inviting I just want to bury my face in them, Sue! 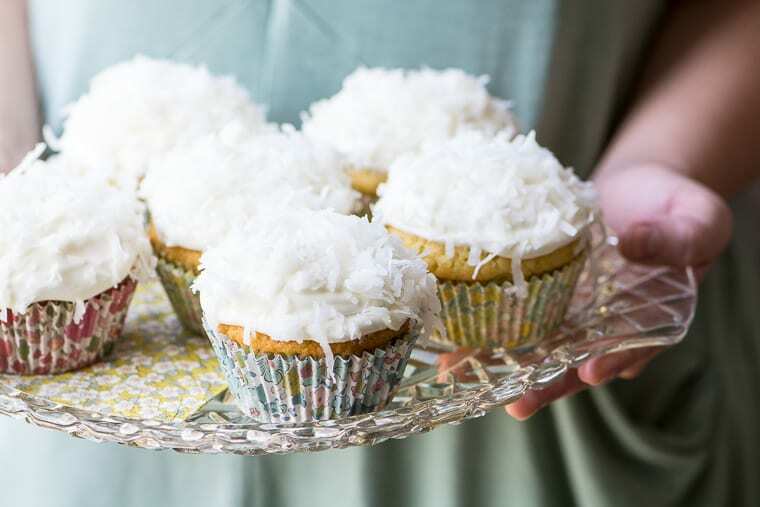 I love a good cupcake and can never have enough coconut. So pretty too! So true Sue who can resist a delicious coconut with mounds of coconut in top? We’re drooling over your beautiful photos! Thanks for sharing Ina’s recipe! Have a wonderful Mother’s Day this Sunday! Another Ina lover! She’s the best! Have all her cookbooks, and have used many recipes. Most are bookmarked. But I love your recipes too and soooo enjoy your emails! People like you inspire me! Your post today, made me especially happy. 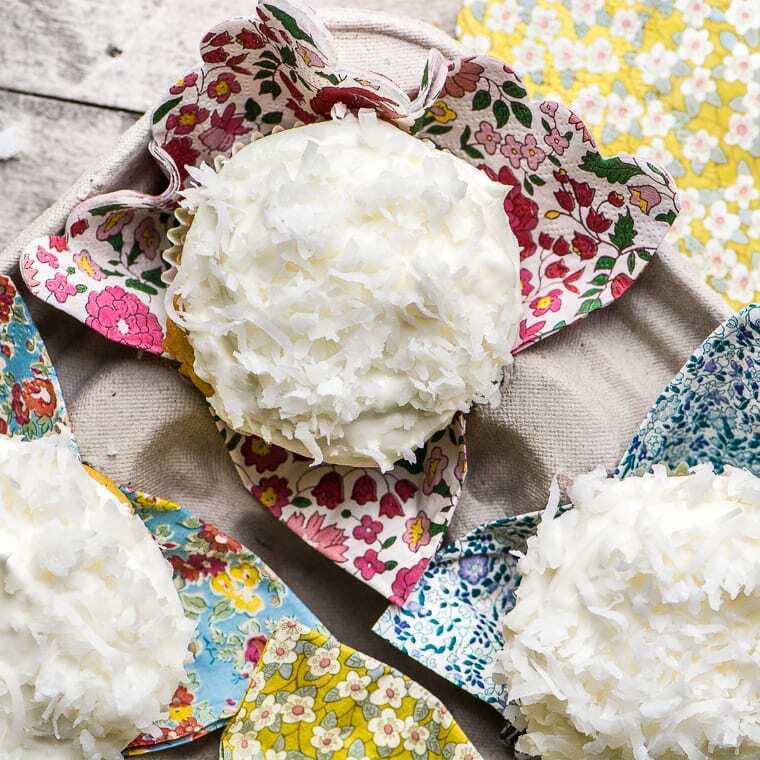 So beautifully photographed, but I love cupcakes, icing and coconut….wonderful, and thank you!!! I think I made these many years ago..you have inspired me to make again..love these photos AND the tip about storing the pretty liners..adorb. … and I love that you did the math for us so we can have the down-sized recipe! Thanks! Even downsized Ina never fails! And there was no way I was going to have 20 of these things in my kitchen ~ too dangerous. These are a coconut lover’s dream. 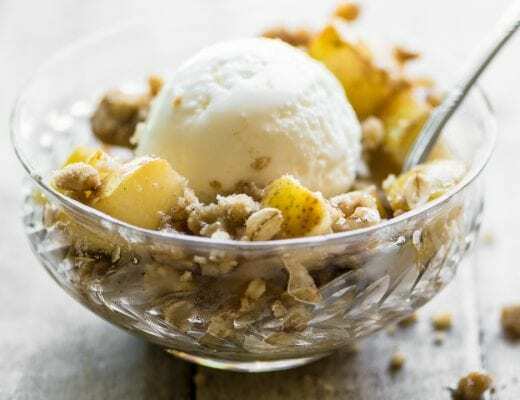 Perfect as a dessert….but I would love one with my afternoon latte!! Great for brunch too. Love, love, LOVE coconut! 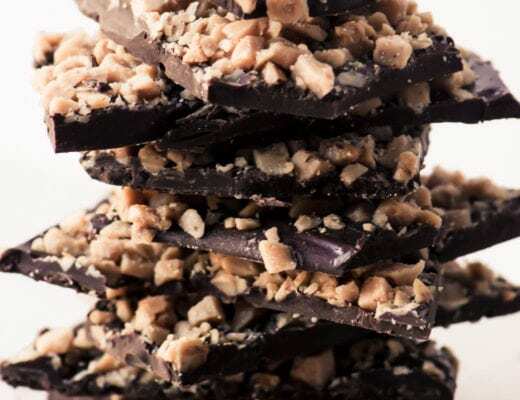 After lemon, my favorite flavor for sweets (chocolate is a distant third — go figure!). Anyway, these look wonderful — thanks. Then I might just have to blow your mind and make a lemon coconut dessert one of these days John! I’ve never had a recipe from Ina that wasn’t delicious and these cupcakes, I’m sure will be no exception! I didn’t know you could buy Liberty print napkins….. now I know what to get my mom for Mother’s Day! And BTW I’m obsessed with anything Ina. these cupcakes look so good! Haha ~ and yes, she really is, I think her baking recipes are some of her best, they truly never fail. 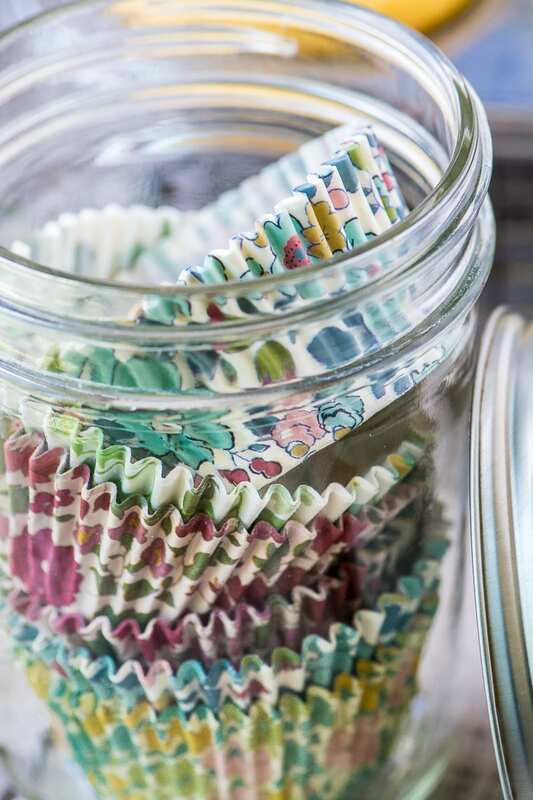 Those cupcake papers are so pretty and I love the mason jar tip! I’m headed down to the pantry to grab one! These cupcakes look fantastic! I’ve made these cupcakes and know they are wonderful but you’ve made them look absolutely gorgeous! 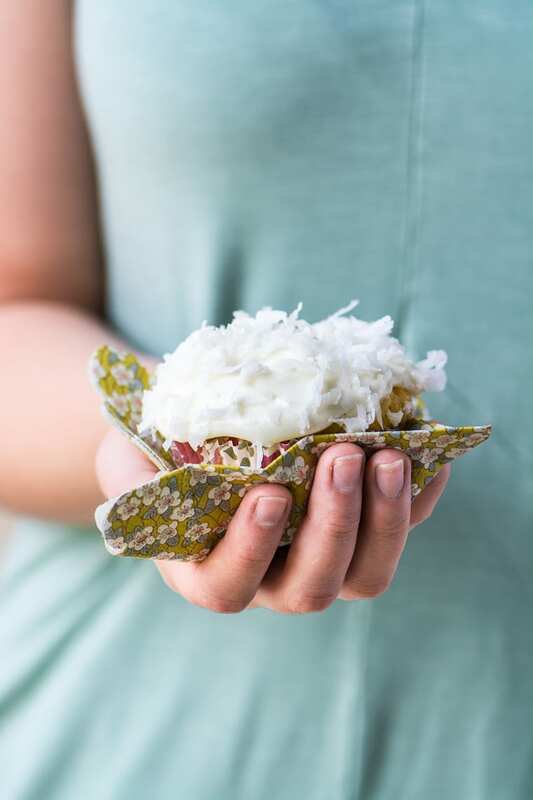 Love those cupcake wrappers and your pretty presentation! So lovely and I’m with you! Ina never let’s me down :) Happy Mother’s Day, Sue! Sue, these look so dreamy and beautiful and I have no doubt that they are divine too. Have never seen sweetened coconut over here…can I replace it with regular dried one? It’s so interesting how certain products (ahem, canned pumpkin) don’t seem to make it across the pond. I can’t imagine baking without sweetened coconut. The issue is that it is very moist, as opposed to regular dried coconut. If you can find something that has a little moisture to it, or even maybe shred a fresh coconut? Thanks for sharing this wonderful recipe Sue! I will have to give these a try very soon. So perfect for all graduation parties, baby or wedding showers or just because! They are beautiful! Thanks Tricia, I think they’re great for entertaining because they’re so easy to put together and they have great appeal. Minis would be great for a baby shower!